Chad & Jennifer are good friends and we love hanging out with them! Jennifer is also a photographer. So when they commissioned us to shoot their family portraits, we were of course, humbled and honored. The Fords also host our small group Bible study in their home. They are gracious enough to open their home to us every week and we enjoy every minute we get to spend with them and their two beautiful daughters. Chad graduated from Henderson State with a degree in Human Services and is an Early Childhood Specialist for UAMS Kids First where he has led a class of special needs preschoolers for the past 8 years. Jennifer graduated with an undergrad from Arkansas Tech with a degree in Computer Science and then the U of A with a Masters in Information Systems. Jennifer has worked at J.B. Hunt for the last 11 years and is currently a senior IT manager supporting the finance area. Chad & Jennifer met in high school in Oden, AR and have always been great friends. They began dating seriously in college and then married after graduation in 2004. Riley is their sassy, fun loving 6 year old who loves t-ball, basketball, fishing, and everything learning. 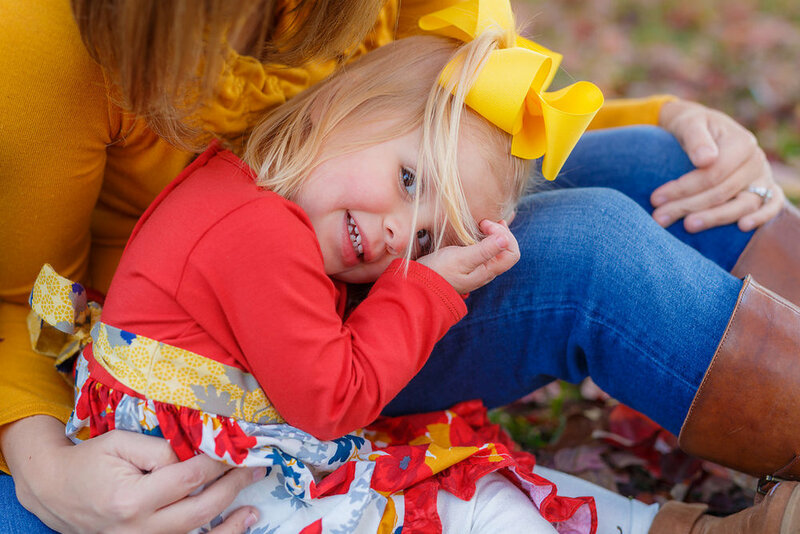 Reese is their sweet and spunky 2 year old who is huge fan of Mickey Mouse and Razorback football. Jennifer told us, Chad originally thought he wanted boys but he agrees now that he really got the best of both worlds! This is the second time we’ve shot the Fords’ family portraits and this time was just as much fun as the first… Here are a few highlights from their Fall session. We hope you enjoy viewing them as much as we enjoyed creating these beautiful images of this awesome family! Click HERE to see all the images from the Ford Family photo shoot. 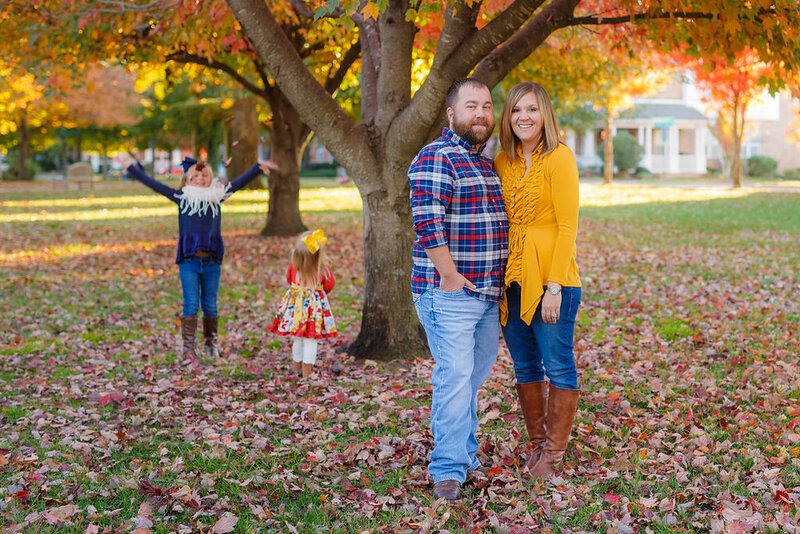 Andrew & Connie are a husband and wife photography team specializing in Lifestyle Family Portraits in Fayetteville, NW Arkansas and The Ozarks.